Enter the Canadian living Contest to get an opportunity to Win a trip to Ecuador. The contest ends on March 24, 2019 at 23:59 ET. Winner will be selected by random draw from all eligible entries. 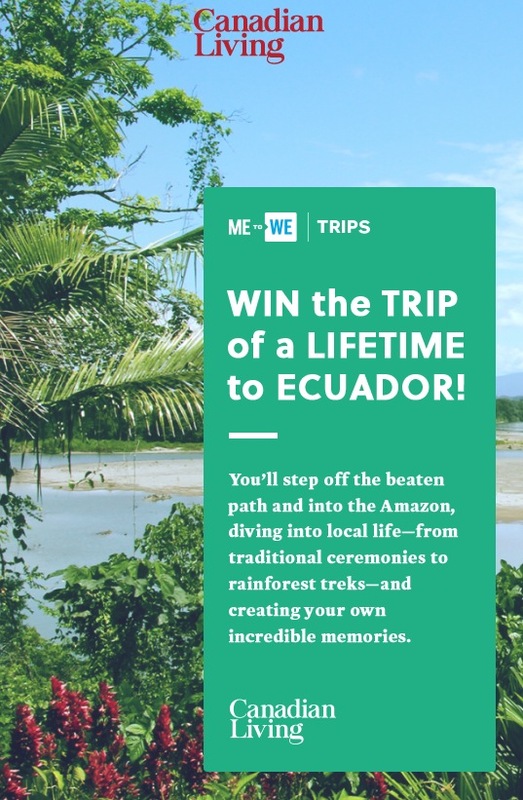 There is one Grand Prize available to be won, consisting of a trip for two to Ecuador. The Canadian living Contest begins on January 31, 2019 and ends on March 24, 2019. The draw will take place on March 25, 2019.